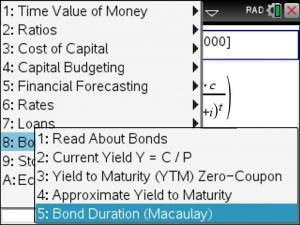 The Macaulay duration formula is the most common way of calculating bond duration : the present value of the payments provided by a bond is divided by the market price of the bond. 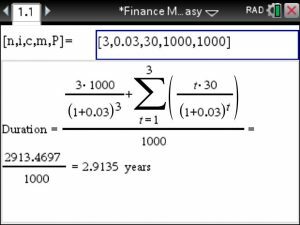 and voila , the setup and the final duration are computed immediately. 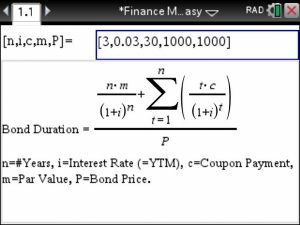 This tool is very useful to study the effects of various interest rates on the bond duration using your handy TiNspire calculator.